Other than beautiful beaches and picturesque mountains, Bali has many incredible cafés that are ideal for pre-wedding photo shoot. These cafés have fun and interesting themes, with lots of details carefully decorated. Here’s a list of interesting cafés in Bali that you must consider for your Bali pre-wedding photography. Located strategically in the heart of Sunset Road and Lippo Mall Kuta, Cosmic Diner is a café that you definitely not want to miss! This place is insanely adorable and feels like a time warp back to the 50s. Decorated with nostalgic art posters, red booth seats and vintage radio, Cosmic Diner sets the perfect backdrop for your retro shoot. See full album of Retro American Diner Bali Wedding Photoshoot. The Bistrot is one of the most popular cafés among couples for pre-wedding photo shoot. This 2 storey café deserves a special mention for its stunning decors. The Bistrot is where “metro” meets “retro”, infused with many modern industrial elements. 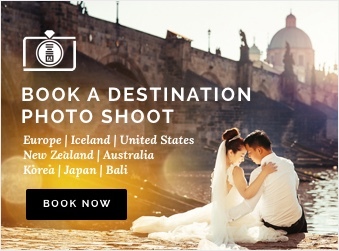 That’s what makes this a unique spot for to consider for your pre-wedding photoshoot in Bali. See full album of Bali Pre-wedding Photoshoot at Vintage Cafe. The BURO is a hipster retail concept store with a coffee bar. It is well designed, with simple and modern architecture. The glass exterior allows abundant natural lighting to stream in, which is perfect for photo taking. The café is spacious, and not too crowded with people, making it an excellent choice for a cozy afternoon photo shoot. BURO also deserves a special mention for their coffee! See full album of Bali Pre-wedding Photography at Cafe and Beach. See full album of Bali Casual Engagement Snaps. Hola! Welcome to Motel Mexicola, an insanely colourful café decorated with arts pieces, all in Mexican style! See full album of Bali Cafes Pre-wedding Shoot. Located in Sanur, it is pretty easy to miss this cute little café which is a hidden gem off the beaten track. Putih Pino Cafe‘s interior is French inspired, with lovely furniture pieces decked in either baby pink or cream white. 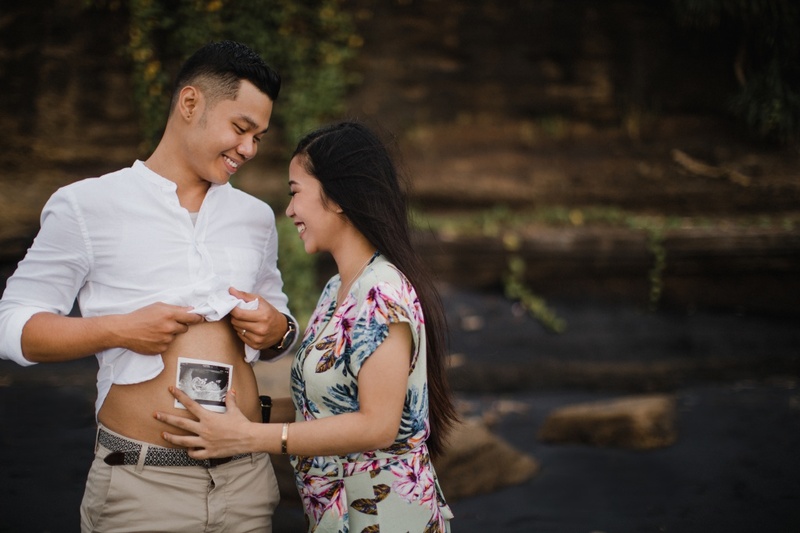 See full album Bali Pre-wedding Photography at Rice Fields and Cafes. Before you decide to take your pre-wedding photos in a café, you might need to be aware of the ‘photo fee’. Typically, the café will charge a photo fee and it is charged based on a ‘per group basis’. For example, The Bistrot charges USD 300 for a 2 hours photo taking session. 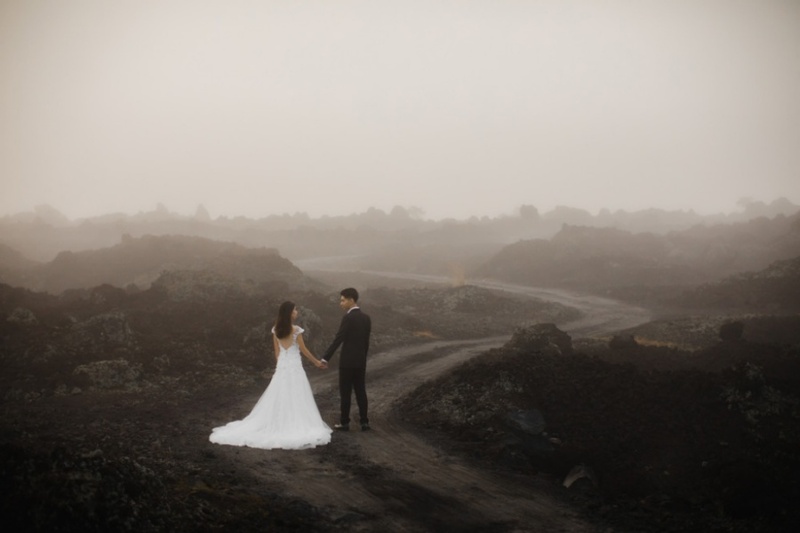 It is best to check with your Bali photographer on the various fees involved, to avoid any unpleasant surprises. Where are your favourite cafes in Bali? Let us know your thoughts about these coffee joints in the comments.